When only the best will do, turn to the Epson Discproducer Network edition. It is a desktop CD/DVD publisher with absolutely all the features you could need to produce high quality, professional grade discs. Print and burn up to 100 high quality customized discs utilizing its built in network which allows shared access to increase group cooperation and production. It features an automated robotic arm loader and two high speed CD/DVD drives for volume production. It also offers excellent security features to ensure only authorized users have access. This CD publisher is the best in its class and it shows. When choosing a CD printer and duplicator that demands absolute perfection, choose Epson Discproducer’s Network Edition. The Epson Discproducer PP-100N is the ideal solution if you need to burn and print CD/DVD series on a regular basis. It is networkable and specially optimized for working in groups. It can receive up to five jobs at the same time, and will publish them conveniently and reliably. Additionally, it features an LCD screen and a door lock for restricting access to authorized users. 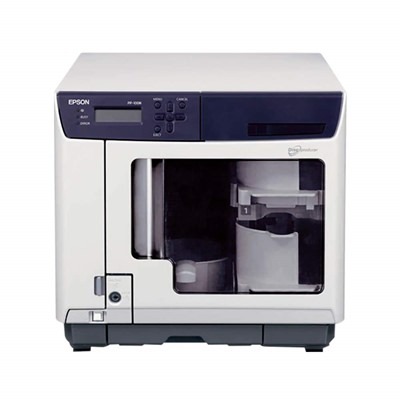 When it comes to on-demand disc publishing, it's hard to top the Epson Discproducer. This all-in-one machine can burn and print up to 100 DVDs or CDs completely unattended. It does all of this in a single economical unit that contains a high-resolution printer and Epson's famous robotic arm loader. 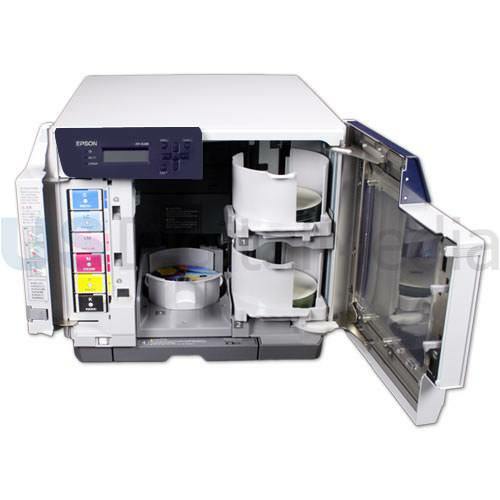 This makes the Epson Discproducer a great choice for businesses, universities and other professional environments that need high quality customized discs on demand. 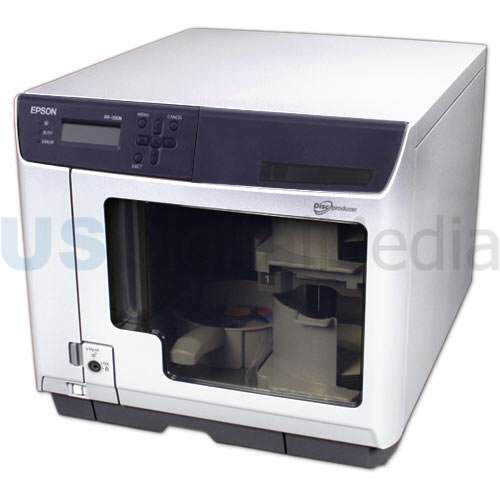 The Epson Discproducer is the professional choice for on-demand CD and DVD disc publishing.